Proximity Marketing market is expected to be worth $52.46 billion by 2022 as businesses pay more attention to giving consumers experiential choices. While proximity marketing through beacons can be achieved by a hardware agnostic app like NearBee that allows consumers to check out all the offers in their neighborhood, we quickly understood there was a growing need for small and medium businesses to have their own app. A brand app makes it easier for businesses to interact with their customers and subtly reinforces the brand image. 42% of small businesses already have an app and the number is steadily rising. The need for relevant, personalized content and improved customer experience has tremendously increased. By 2020, 89% of customers will choose businesses that provide better customer engagement and experience over the ones that don’t. A beacon app on top of that may be entirely impossible without hiring a developer. That is why, Beaconstac has partnered with Shoutem, a DIY app builder platform. Building beacon apps on Shoutem is easy, doesn’t require any coding and can be built within minutes. The Beaconstac extension on the Shoutem’s extension marketplace powers the proximity triggered notifications on the app. There are over 40 screen types, 200+ customizable layouts and more than 40 extensions in the Extension Marketplace. All you have to do is select the style or layout that speaks to you and customize your app with the desired features. Engage with your customers through the beacon app to send them contextualized content. Improve their in-store experience by offering product information, personalized recommendations, and curate a unique shopping experience. 71% of consumers who participate in loyalty programs report that being a member contributes to building a meaningful relationship with brands. However, 28% of millennials consider if joining the program is convenient or not. An app definitely helps facilitate the process better than a newsletter or a membership card. 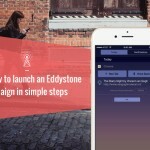 But with a beacon app, businesses can award points to customers for returning to the store. Combine that with a deal or discount delivered through the proximity app and you can increase the sales. In fact, 85% of consumers make impulse purchases when there a deal or discount is involved. Offering in-store pickup is a step businesses must embrace. 47% of customers use in-store pickup to avoid shipping fees and 25% prefer it so that they can get their products sooner. By implementing a beacon-aware app, stores can be notified when the customer is nearby and facilitate a faster, smoother pickup process. Competing with the likes of Amazon Go is now possible with a beacon app. 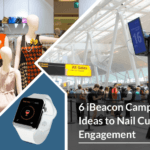 Beacons tied to a POS allow consumers to pay for their products and skip long checkout lines. What if you could design a scavenger hunt inside the store? With a beacon aware app, you can. A scavenger hunt can drive engagement and attract new customers. The Mall of Denmark uses a scavenger hunt to keep kids occupied while their parents shop. Learn how to build a scavenger hunt. Digital interactions at the store influence 56 cents of every dollar spent. Using the beacon-enabled app, stores can subtly introduce new products to the customer that they might like based on their past purchase history. Don’t want to build your own app? Try NearBee for iOS and Android. While other forms of marketing may make it a user’s spam folder, proximity marketing with an app ensures that it is relevant, useful and contextual. Downloading an app also implies that users are open to receiving proximity based marketing campaigns. And it is not uncommon for consumers to relay implied consent to receiving targeted advertisements. 65% of the top-performing posts on Instagram, the second-largest social media site in terms of engagement, feature products, and services by businesses. By throwing in beacons into the mix, not only can businesses ensure that consumers only receive relevant content but they can also do so much more with an app. Start building your beacon apps with Shoutem and the Beaconstac extension. Choose Beaconstac as an end-to-end solution for all your proximity marketing needs.